Fishing has been commonly practiced all over the world ever since the dawn of civilization. 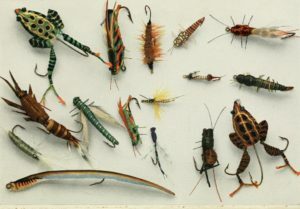 As long as there is a demand for fish, angling will always remain a popular activity for the mass. Regardless of whether you engage in fishing as your means of livelihood or just another leisure activity to spend some quality time, being good is necessary. Being an expert might seem more crucial if you are a fisherman because your earnings would entirely depend on your catch. However, I am pretty certain that you wouldn’t want to feel embarrassed when you are off on a fishing adventure with your friends. No matter how simple of a sports fishing may seem like, it does require you to develop a certain amount of skills to be a pro. In this article, we will give you 10 tips to improve your fish hunting abilities, and eventually become an expert in this game! 1. Make sure your bait sticks to the hook. One of the problems that both beginners and experts at this game face are keeping their baits in place. This may not seem like much of an issue, but trust me, it can cause you to lose a perfectly good catch. How can you solve this problem? It’s very simple. Just glue your bait to the hook before casting and you are good to go. Hell, you might even win tournaments this way! 2. Try marking up your soft-baits. If you are using a soft-plastic bait instead of a worm, then it usually is a bit more difficult to get a good catch. This is obviously because living baits are more effective in terms of luring fishes then plastic baits. Thankfully this problem can be easily avoided with a simple solution. 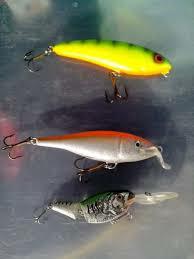 You can make use of a permanent marker to draw different realistic baitfish patterns on the plastic bait. This can actually make the soft-plastic baits look more attractive, and increase your chances of getting a better catch. 3. Use smaller baits for bigger fishes. Bigger fishes are more sensitive to the type of bait you use for fishing and your retrieval speed, which makes catching them tricky. When you are attempting to catch a bigger fish to impress your friends, than you may want to pay close attention. You should see if the fishes are biting your bait or not. If the fishes stop biting, even though you know they are around, then you need to downgrade your bait and alter your retrieval speed. Try to shift from using the 7-inch worm to 4 inch your worm, and once a fish is caught, pullback your target fish slowly and carefully. The chances of catching a bigger fish are higher this way. 4. Keep your snaps and swivels together. Fishing often requires you to carry a lot of different components with you, and snaps and swivels are crucial for grouping fishes together. 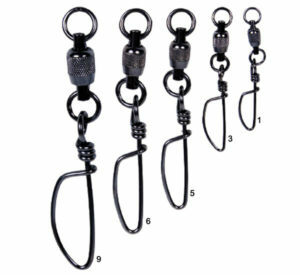 Unfortunately, due to their small size, they are quite easy to lose in your tackle bag. One good way of storing them would be to slide these small components into a large snap and then attach it to a lanyard around your neck. Doing this will help you reach your snaps more easily, making your entire fishing experience better. 5. Regularly tune your crankbaits. If you want to have the best fishing experience, you must tune your crankbaits before even attempting to fish. In order to do this, you must first cast your lure and reel it back in. If it comes back straight, then you should have no problem fishing. However, if it moves a bit to the right or to the left, use a needle nose plier to adjust the eyelet to stop this from happening. It is quite difficult to catch fish properly with an unadjusted crankbait. 6. Properly handle fishes with care. Simply catching a fish doesn’t make you a pro. You must know how to handle a fish properly. Do not rough handle it, and always hold the fish at the bottom of its lips once caught. Also, try not to remove the slime from the fish as it is prone to catch diseases without it. An effective catch will always require you to be patient and careful. 7. Sharp hooks are important for an effective catch. Many fishes, such as Bass, have boney jaws that are tough to penetrate with an unsharpened hook. In order to catch these fishes more effectively, you must sharpen your hooks with a file before your fishing trip. This will help you immensely, and it takes only about 30 seconds. 8. Make sure your bait reaches the bottom. Since most fishes lie at the bottom of different water bodies, you should make sure that the line reaches the bottom after you cast. Only when you have observed the bait reach the bottom, you can reel it in. If you are using a soft-plastic bait, don’t forget to share your fishing rod lightly to mimic a live bait before reeling it in. 9. Obtain a better understanding of tides. 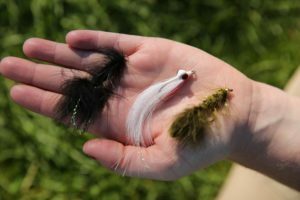 You must definitely know how tides affect fishing patterns in order to fish more effectively like a pro. This is particularly important when it comes to saltwater fishing. It is easier to fish on days when there are multiple tides because the water keeps on moving which makes it easier for the fishes to reach the baits. On days when there is no tide, you are less likely to catch fishes effectively. 10. Try to stay scentless. Just like many other forms of hunting, it is better to remain scentless before venturing off on a Saltwater fishing trip with your buddies. Some fishes, such as the Redfish, have a very keen sense of smell. These fishes won’t approach your lure if the lures are not kept scentless. You can get rid of the scent of gas or sunscreen from your body by means of lava soap. 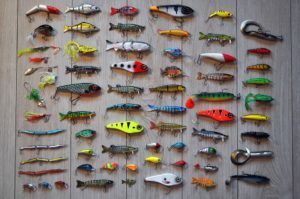 Everyone might want to try out this relaxing and amazing sport at some point in their lives, but if you want to fish effectively and obtain a better catch like the experts out there, then you must follow these 10 tips. 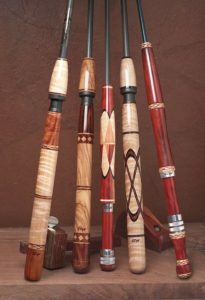 Fishing is of course not an easy sport to get into, but if you keep these things in mind, it might actually ease the entire process. With enough practice, you might even turn into a pro yourself! Fishing Hunts is a participant in the Amazon Services LLC Associates Program, an affiliate advertising program designed to provide a means for sites to earn advertising fees by advertising and linking to Amazon.com. *Amazon and the Amazon logo are trademarks of Amazon.com, Inc., or its affiliates.